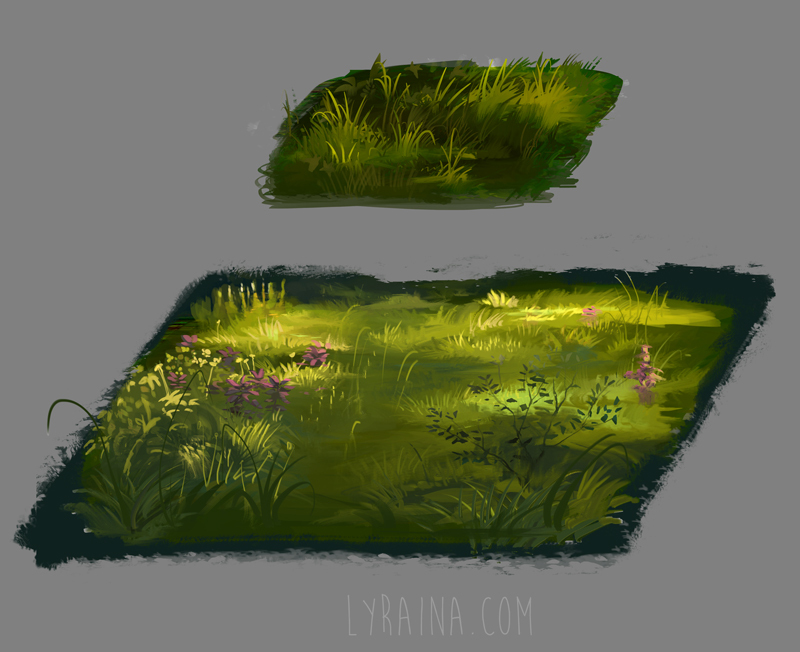 One would think grass is easy to paint, but it’s actually not. There are so many value and color shifts, so many details… adding variety in vegetation helps. Spending more time (than I did here) would also help. It would be fun to paint the same scene in several ways, from highly stylized to somewhat realistic.